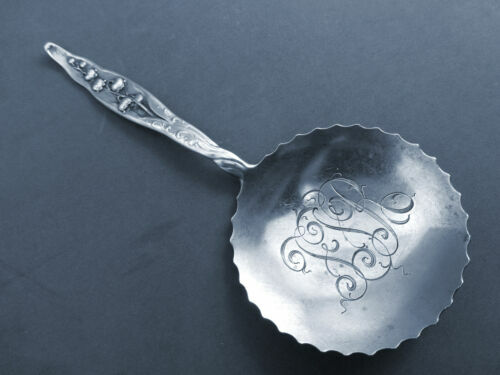 Whiting Lily of the Valley Sterling Silver 925 Individual Tea Strainer, 5 5/8"
Lot of 8 Gorham Sterling Silver Lily of The Valley Hollow Dinner Knives 9"
Whiting Sterling Silver LILY OF THE VALLEY Sugar Spoon Shell No Mono! 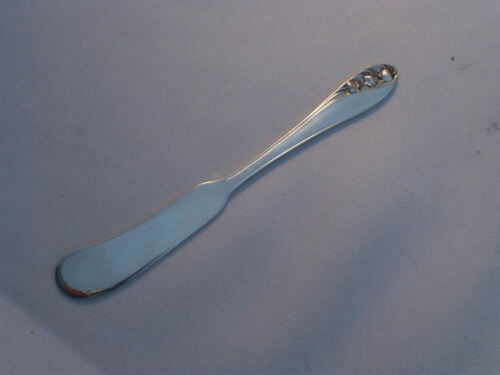 4 Forks LILY OF THE VALLEY Gorham Sterling Silver Flatware 7-1/4" No Black Acc. 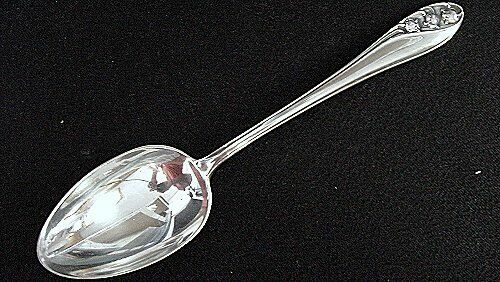 Whiting Sterling Silver LILY OF THE VALLEY Gravy Ladle 6-5/8" No Mono! 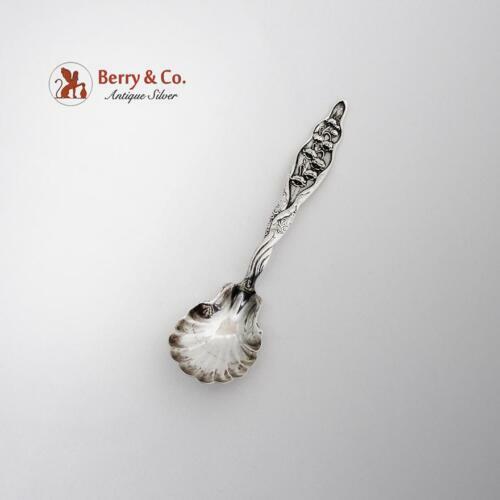 Lily Of The Valley-Whiting Sterling Gumbo Spoon(s)-6 3/4"
Lily of the Valley by Whiting div. 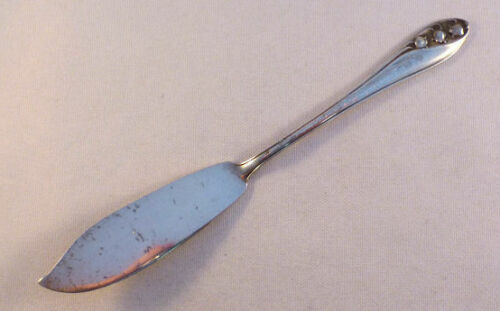 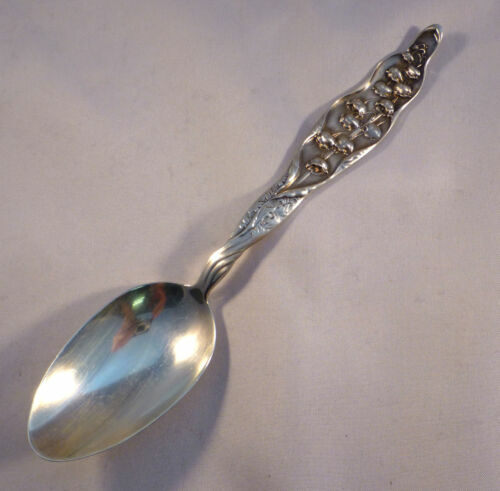 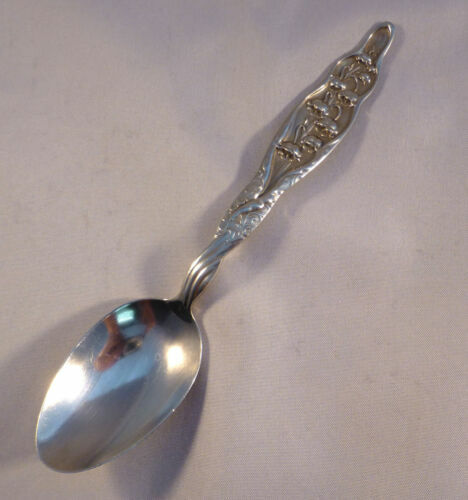 of Gorham, Table Serving Spoon 8 3/8"
Sterling Silver 5 O'Clock Spoon Gorham Lily Of The Valley 1885 Mono. 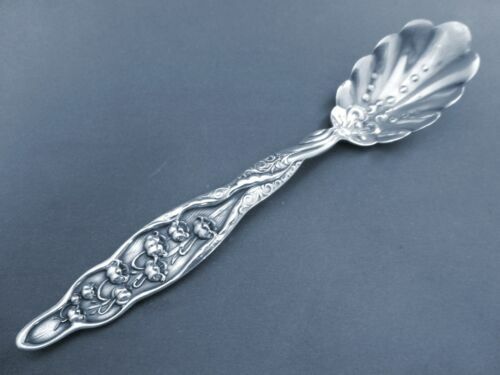 FREE SHIP!! 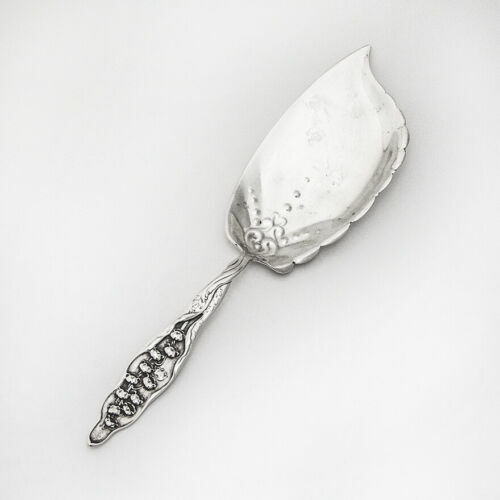 LILY OF THE VALLEY-WHITING STERLING CHEESE SCOOP-6 3/8"
Whiting Division Lily of the Valley Sterling Silver Demitasse Spoon GW - 4-3/8"
Lily of the Valley by Whiting Sterling Twist Handle Gravy Ladle w/Fluted Bowl-7"
Lily of the Valley by Gorham Sterling Silver - Iced Beverage Spoon 7.75"
Lily of the Valley by Gorham Sterling Silver Flat Handle Butter Spreader 5.75"
Lily of the Valley by Whiting div. 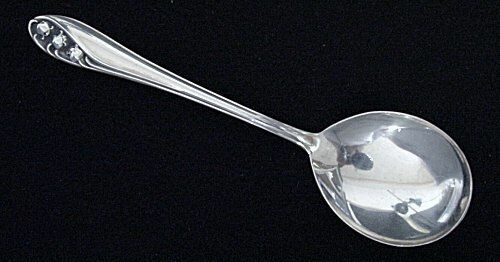 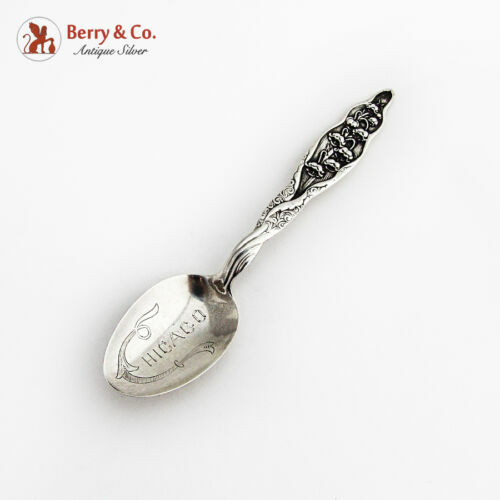 of Gorham, small Teaspoons 5 3/8"
Lily Of The Valley-Whiting Sterling Large Cheese Scoop-8 1/4"
Whiting LILY OF THE VALLEY Sterling Silver 12 3/8" SOUP LADLE, Twist-Handle, NM.